November 20, 2010 - Wayne County Airport Authority (WCAA), operator of Detroit Metropolitan Airport (DTW) and Willow Run Airport, has reached a settlement agreement with former contractor John Carlo, Inc. (JCI) following the discovery by WCAA of irregularities with the contractor’s compliance with the Authority’s Disadvantaged Business Enterprise (DBE) program. The DOT DBE program is implemented by recipients of DOT Federal Financial Assistance. Recipients are primarily state highway, transit and airport agencies that receive funds subject to Title 49 Code of Federal Regulations parts 26 (49 CFR 26). A similar program for airport concessions (ACDBE) program mandated by 49 U.S.C. 47107(e), originally enacted in 1987 and amended in 1992, is implemented under (49 CFR 23). 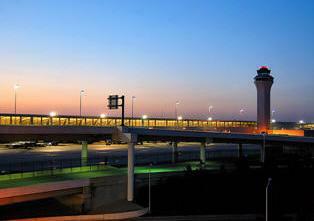 Under the terms of the agreement, in satisfaction of certain claims against JCI by federal authorities for DBE program irregularities, the contractor will pay to the U.S. Department of Justice (USDOJ) a significant portion of the payment withheld by the Airport Authority in 2007 for runway reconstruction work performed at DTW. While the settlement resolves litigation between WCAA and JCI, the contractor will be ineligible to participate in future business opportunities with WCAA for a period of three years. USDOJ also pursued and reached a settlement with subcontractor Angelo Iafrate Construction Company for its role in the project’s compliance irregularities. In December 2007, WCAA announced that it had taken the initiative to launch an independent, wide-ranging investigation of DBE compliance practices among the Authority’s contractors after it learned of apparent irregularities in the utilization of DBE subcontractors at DTW. That investigation uncovered evidence of potential wrongdoing by JCI related to its contract to complete the 2006-2007 reconstruction of Runway 3R/21L. The Authority then turned-over the results of its investigation to USDOJ and withheld payment to JCI while working with federal authorities in their investigation, which resulted in today’s settlement. The U.S. Department of Transportation's DBE (disadvantaged business enterprise) program provides a vehicle for increasing the participation by MBEs in state and local procurement. DOT DBE regulations require state and local transportation agencies that receive DOT financial assistance, to establish goals for the participation of DBEs. Each DOT-assisted State and local transportation agency is required to establish annual DBE goals, and review the scopes of anticipated large prime contracts throughout the year and establish contract-specific DBE subcontracting goals. Three major DOT operating administrations are involved in the DBE program. They are the Federal Highway Administration, the Federal Aviation Administration and the Federal Transit Administration.